The Convey HC Series accelerates computing by providing higher absolute performance, increased functionality, and improved efficiency compared to commodity servers. Convey Computer today announced that The Genome Analysis Center (TGAC), one of seven institutes that receives strategic funding from the U.K.’s Biotechnology and Biological Sciences Research Council (BBSRC), has deployed two Convey HC-1ex hybrid-core systems for advanced genomics research. TGAC, based in the U.K., is an aggressive adopter of advanced sequencing and IT technology. 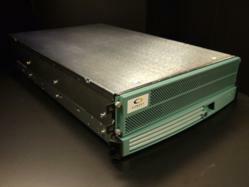 The two Convey HC-1ex systems are the latest addition to TGAC’s powerful computing infrastructure. By installing hybrid-core Convey HC-1ex systems, TGAC expanded their cluster and ccNUMA-based HPC environment to include leading edge heterogeneous computing capabilities. TGAC was part of an international team that recently demonstrated next-generation sequencing could be used effectively to fine map genes in polyploidy wheat. TGAC will leverage Convey’s architecture to accelerate computationally challenging jobs, such as resequencing alignment for wheat and other polyploidy species. Convey’s hybrid-core architecture pairs classic Intel® x86 microprocessors with a coprocessor comprised of FPGAs. Particular algorithms—BWA-based alignment, for example—are optimized and translated into code that’s loadable onto the coprocessor at runtime. (1) Burrows-Wheeler Aligner (BWA) is an efficient program that aligns relatively short nucleotide sequences against a long reference sequence such as the human genome. Contact Alison Golan, Convey Public Relations, at +1 904.230.3369 or email agolan(at)conveycomputer(dot)com. All trademarks are the property of their respective owner. ™ and ® denote registered trademarks in the United States and other countries.